A friendship road, opening developing countries for work and trading. . . . wonderful idea! 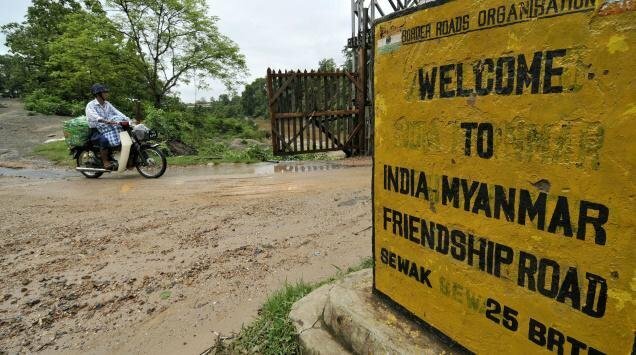 The Myawaddy-Thinggan Nyenaung-Kawkareik section of the Asian highway which links India and Thailand via Myanmar is now operational. The inauguration of the new 26.5 km road means that the stretch between Thinggan Nyenaung and Kawkareik which earlier took 3 hours has now been reduced to 45 minutes. The construction of the highway had started in 2012. 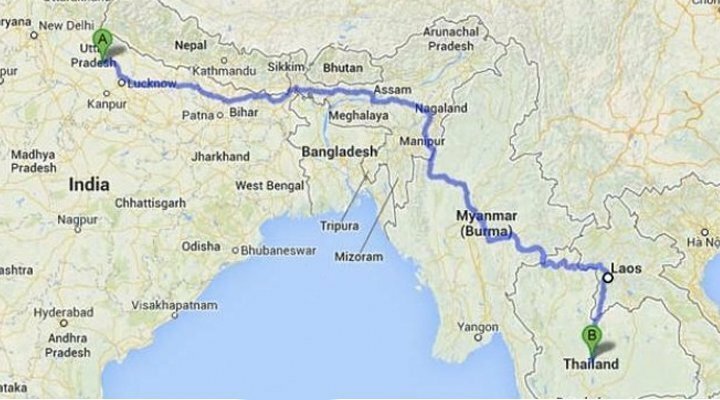 It runs from Moreh in India to Thailand’s Maesot via Myanmar’s Tamu, Mandalay and Myawaddy. There is also talk about introducing a bus service between India and Myanmar. If introduced, the service will ply between Imphal, Manipur, and Mandalay. This entry was posted in India, Travel, Uncategorized and tagged friendship road, India, Myanmar, Opening developing countries to the wpr;d, Thailand, trade, transportation. Bookmark the permalink. 7 Responses to Friendship Road! Pretty amazing! They love their neighbors in India! So glad you enjoyed it. Please do visit again. I love to hear feedback from my readers!